Andrea Riseborough is one of a few fashion dare devils who isn’t afraid to take risks. She was risk taking at the ‘Nancy’ premiere on Saturday, but for The Academy Of Motion Pictures Arts and Sciences Women’s Initiative Lunch at Claridge’s Hotel today (October 15) in London, avant-garde wasn’t on the menu. 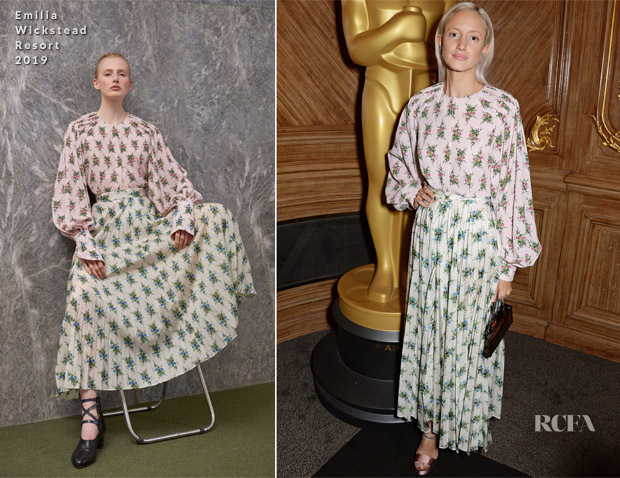 On this occasion she wore an Emilia Wickstead Resort 2019 top and skirt that possessed romantic flowing elements and a whimsical print, this was a refreshing change of pace from Andrea. The only thing not really working for me here is the bag.